Only three outfits to share this week, two of which are semi-repeats. 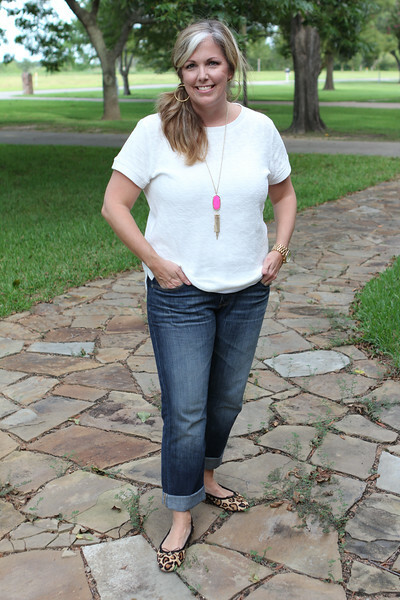 I love the ease of throwing on a basic white tee or top and changing up my accessories a little. Obviously, since I wore a similar version of this last week. 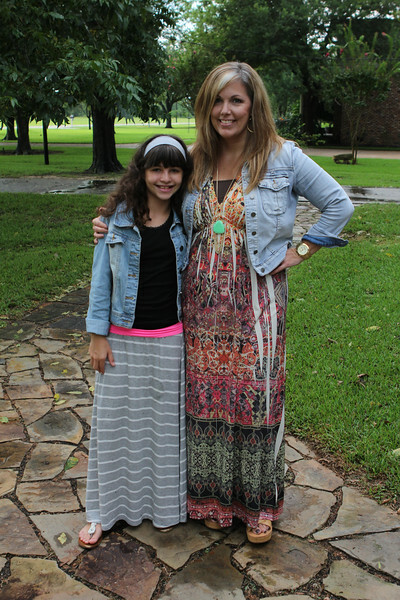 Annelise and I were semi-twinkies at church in our maxi skirts/dresses and denim jackets. We love them. Yeah, I wore this top a couple of weeks ago, but I love it. 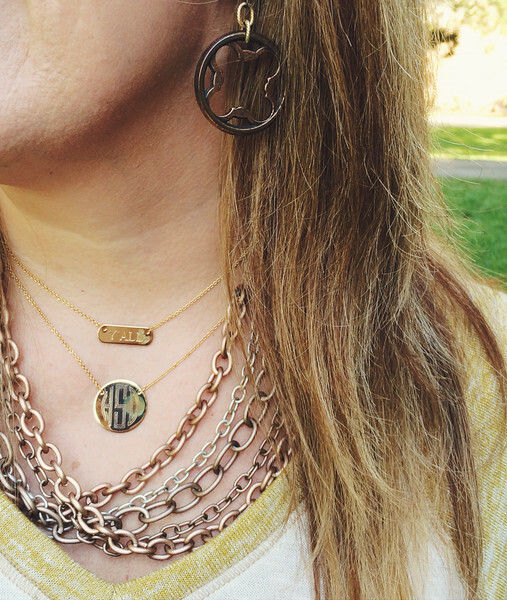 I know, I know, it's kind of a lot of jewelry happening, but I really like the layered look, mixed metals and dainty pieces mixed with heavier ones to jazz up a simple outfit. I'm linking up with The Pleated Poppy, Because Shanna Said So and Get Your Pretty On again this week, be sure to pop over there for tons of fashion inspiration. Love the Kendra Scott necklace in the first look! Dying to add one of those to my collection. Very nice. 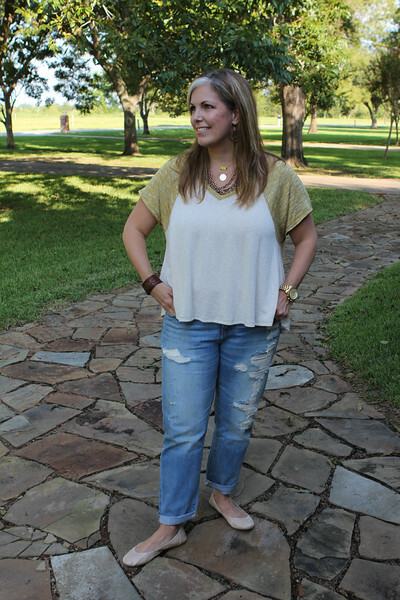 Love the boyfriend jeans. I have some from Forever21 that don't get much wear because I think they make me look fat but they look so good on you! I just love that picture of you and Annelise!